The ultimate lounging bathrobe, woven from the softest fleece. 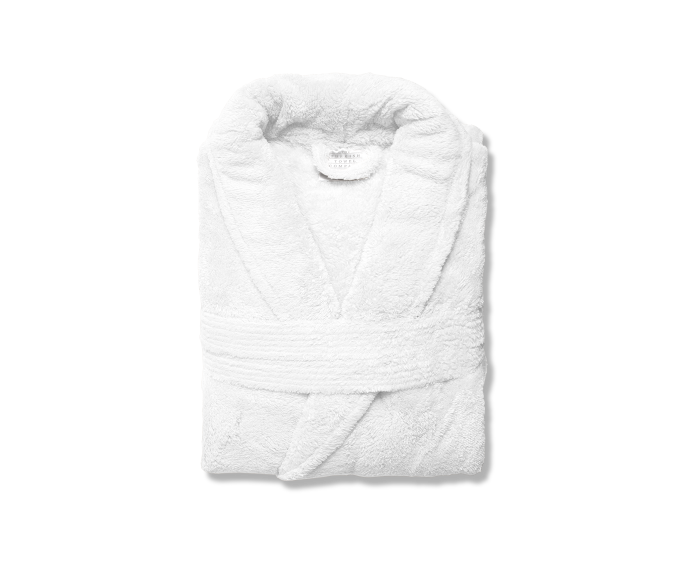 These polyester Velsoft bathrobes will make you feel like you are relaxing at the finest hotel or spa. One size, our Turkish bathrobes are generously fitted, and can accommodate sizes 5′ 4” to 6′ 2” and from 140 to 240 lbs. So, no need to worry, you’ll always have enough to wrap around you.